Very Good. 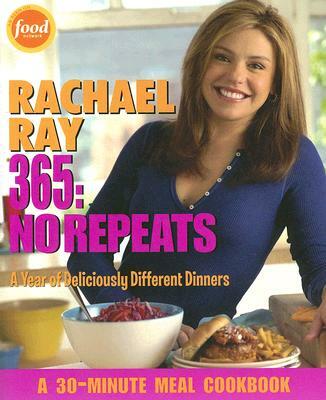 Rachael Ray 365: No Repeats: A Year of Deliciously Different Dinners by Rachael Ray. Trade paperback (US). Glued binding. 326 p. Contains: Illustrations. Very good; Collectible. FINE COPY, NEVER USED, WITH MINIMAL LIBRARY MARKS/STAMPS. FAST SHIPPING FROM UK WITH PROMPT SERVICE, BUBBLE WRAP.